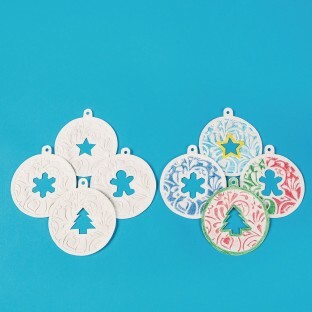 Color and decorate beautiful embossed heavy-weight paper ornaments, 3 each of 4 designs. Each features a different diecut shape in the center of the ornament: star, tree, gingerbread man, or snowflake. 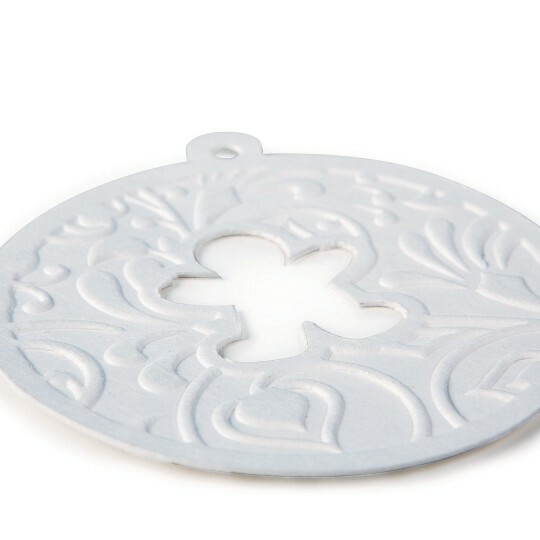 Each ornament design has a “hang tab” for ribbon. We recommend color pencil and glitter (as shown here). Decorating supplies and ribbon sold separately. 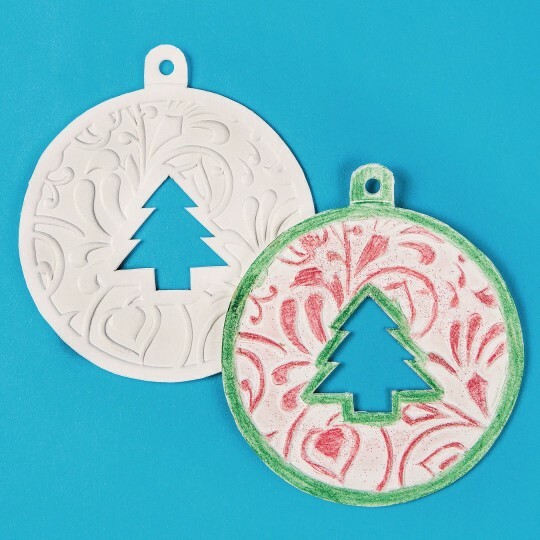 Ornaments measure approximately 4” in diameter.